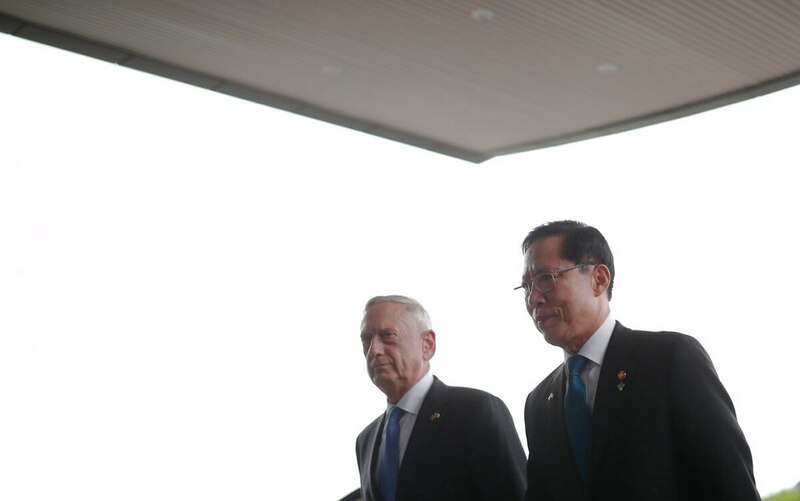 Carrying a clear message of reassurance to South Korea, U.S. Defense Secretary Jim Mattis stated flatly Thursday that the U.S. will maintain its current number of troops on the Korean Peninsula, even as nuclear negotiations continue with North Korea. His message appeared aimed at putting to rest any rumblings that the U.S. would pull its forces off the peninsula ― a possibility that gained momentum when President Donald Trump said after his June 12 summit with North Korean leader Kim Jong Un that he’d like to remove all 28,500 U.S. troops from South Korea. President Donald Trump’s decision to suspend major U.S. military exercises in South Korea could weaken allied defenses, depending on the length and scope of the hiatus. But the potential for diplomatic damage seems even greater.